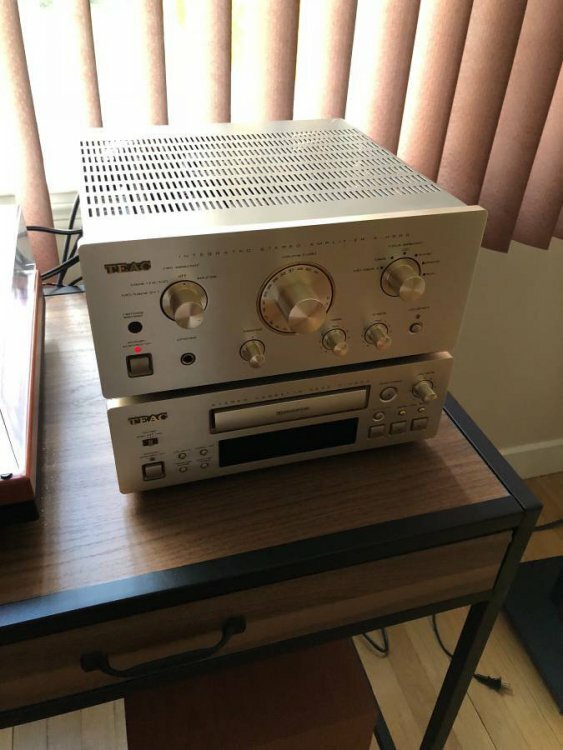 Selling my Teac A-H500 Integrated amp. Along with the matching 7 disc CD changer, stereo tuner and cassette deck. This is a highly respected “mini system”. Certainly plenty of reviews and specs online. Price is for everything but if you are interested in a certain piece or two just let me know as I’m willing to break it up. OK; so what is the price??? Duh price?? What a dumbass I am. $400 takes it all. Individual pieces, feel free to make me an offer. 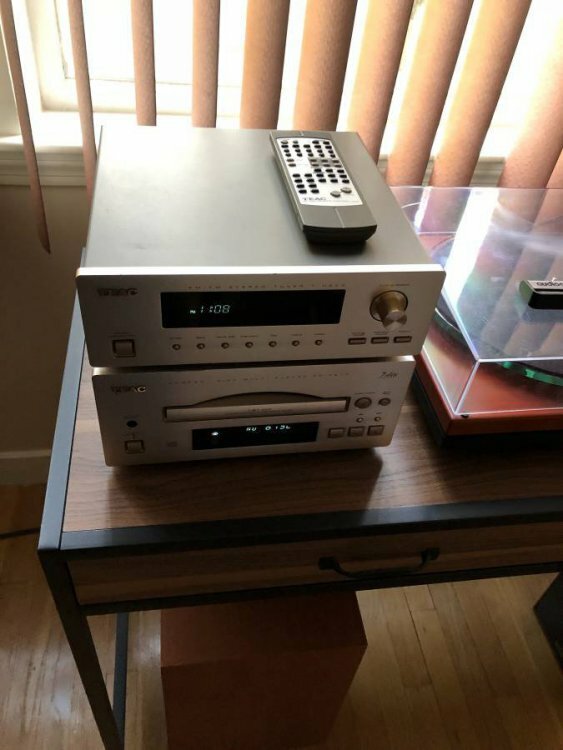 I'd be interested in the integrated amp. They look like heavy little beasts though, so I imagine shipping could be costly. Do you have the original box by any chance?